Hello! Happy Hump Day! Can it be Friday already? So, you know that I love dog-themed jewelry. I’ve blogged about it a few times and shown you some of my favorite Pinterest and Etsy finds. 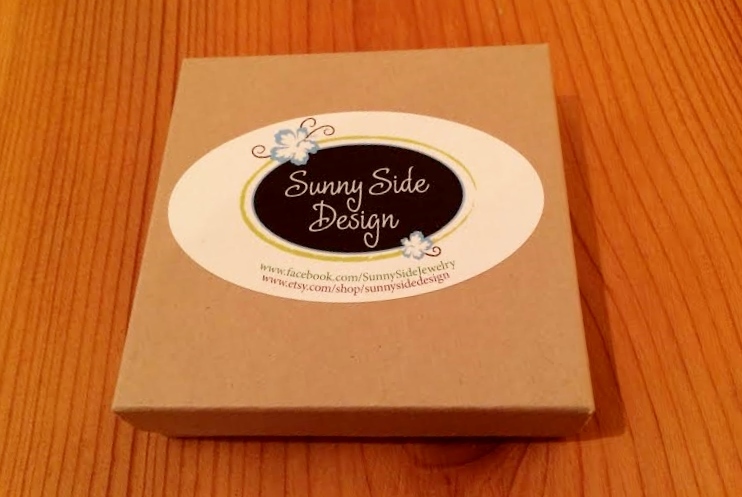 Being that I love dog-themed jewelry, I was thrilled when I heard about Sunny Side Design and even more thrilled when Angel, the creative mind behind Sunny Side Design, offered to send me my very own custom Rescue Me Charm Bracelet. 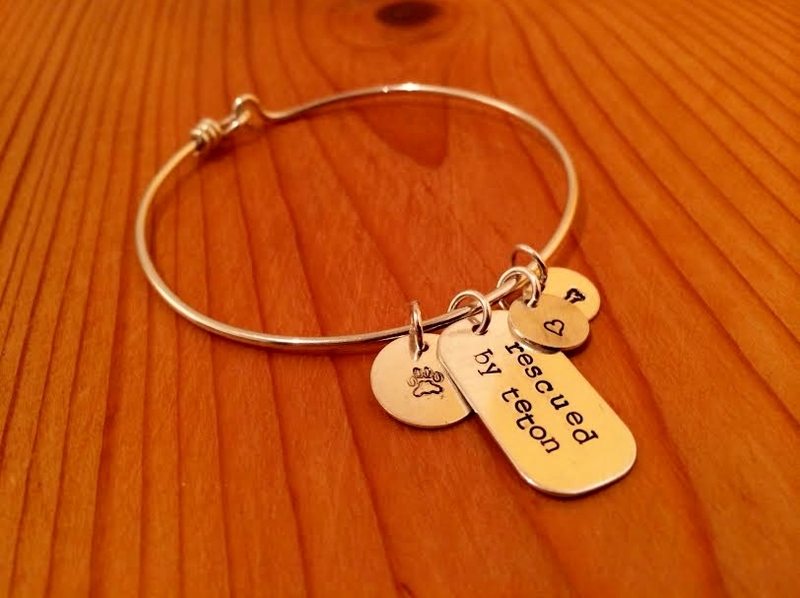 The Rescue Me Charm Bracelet is a delicate sterling silver bracelet that’s totally customizable. When you order the bracelet, you get four charms of your choosing. 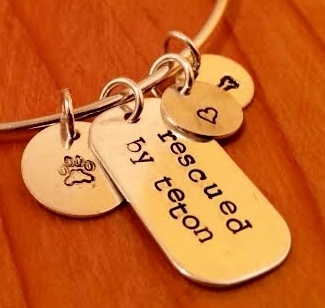 The first, and, in my opinion, most adorable charm, is the “rescued by” dog tag. It doesn’t get much cuter than that. 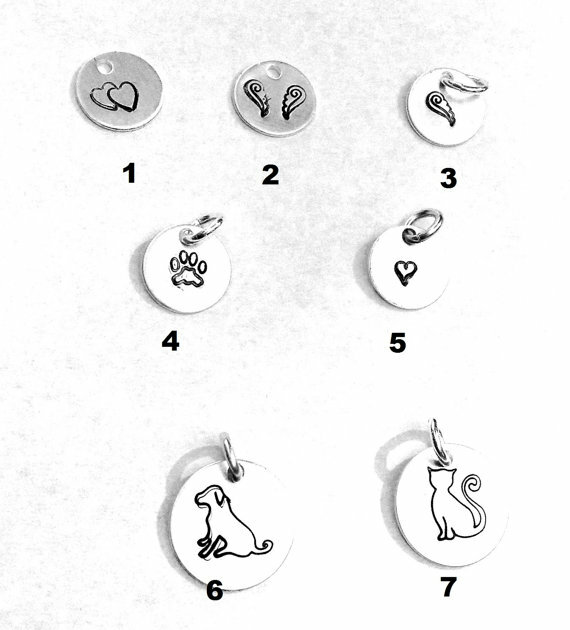 In addition to the “rescued by” dog tag, you can choose one 1/2″ charm of either a dog or cat (#s 6 and 7 below). 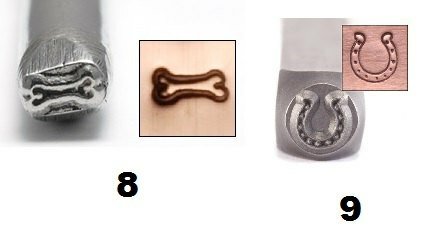 And then, also included in your purchase are two 3/8″ charms of your choosing (#s 1-5 above and 8 and 9 below). I have a weird hang up about wearing dog-themed jewelry with dogs that don’t look like Teton, so that’s why I opted not to get the 1/2″ dog charm. Instead I chose the paw print, heart, and bone. I couldn’t be happier with my Rescue Me Charm Bracelet. I love that it’s light and delicate but unique and subtle. It’s the type of thing you can wear every day and a great conversation piece. Sunny Side Design also offers a Rescue Me Charm Necklace that’s just as awesome as the bracelet. Bracelet…necklace…whatever floats your boat! They’re both made with great care and of quality materials by someone who loves her dog as much as you love yours. Bonus? A portion of the proceeds from Sunny Side Design purchases is donated to animal rescue organizations. Love that. Thank you to Angel at Sunny Side Design for my beautiful bracelet! Head on over to her Etsy shop and Facebook page and give ’em some love. Posted on December 11, 2013 by Shannon	This entry was posted in Web, Wish List. Bookmark the permalink.